Hellaby Hall Hotel Hellaby Rotherham/Sheffield South Yorkshire offers guests an extraordinary combination of historical architecture and modern facilities within a great location. This 17th Century manor house has been sensitively converted to a striking 4 star hotel set amongst picturesque gardens, within easy reach of Rotherham, Sheffield and Doncaster, making it the perfect destination for business or leisure. 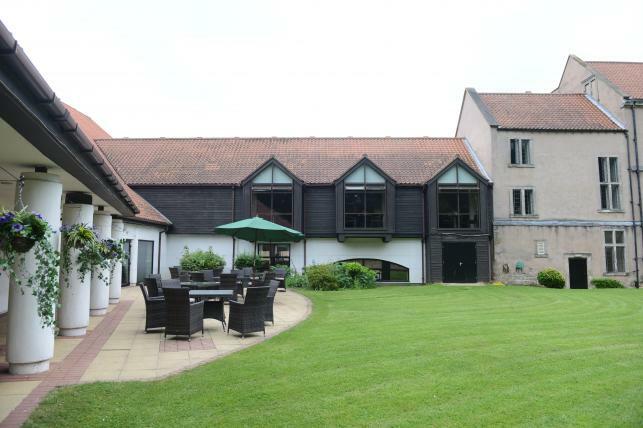 Set in a 17th-century estate, Hellaby Hall features a modern leisure centre and a stylish restaurant with views across the landscaped gardens. The hotel is situated in Hellaby, just off the M18 motorway. We proudly offer 89 bedrooms, including a luxurious four poster suite, deluxe rooms and executive rooms, ideal for business travellers and families. Our bedrooms are thoughtfully decorated and designed with work and relaxation in mind, creating an ambience of classic elegance, as well as a bar and lounge overlooking the beautiful landscaped gardens. The convenient location of Hellaby Hall Hotel Hellaby Rotherham/Sheffield South Yorkshire, close to the M18 and M1 motorways, provides the perfect meeting and conference venue for up to 500 delegates with free wifi and car parking. From the charm of the Drawing Room to the modern facilities of the Colonial Suite, private events and wedding receptions for up to 275 guests can be catered for.